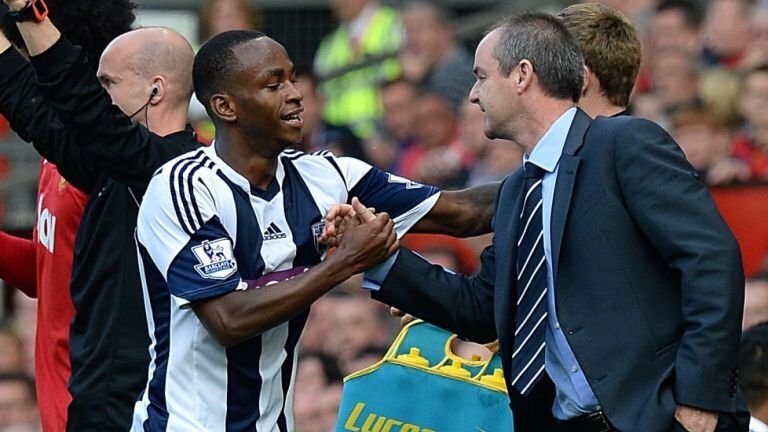 West Brom boss Steve Clarke admits he is not happy Saido Berahino's wages were made public. The England U-21 international netted a brilliant goal 2-1 victory over Manchester United last weekend. News went around revealing that the 20-year-old is earning £850 weekly - which is unbelievable for a Premier League footballer. "Seeing what came out in the press after the game last week, obviously his agent has been a little bit busy by putting things out in the open," said Clarke. "I understand that it's an agent's job and that's what he has to do, but now is the time for everyone to be calm and focus on improving Saido as a player. "It was a little bit naughty for the agent to put out the level of his wages and what he earns (into the public domain). It's not correct. But if Saido continues to do what he's doing, he'll be looked after here. No problem." Berahino's contract have just one-year left on his Baggies contract. "Saido's been good, level-headed in training and he's in a good place," Clarke said. "He's had a good five or six weeks of first-team action if you take into account his performances for the England Under-21s. "There's always someone who bursts onto the scene every season and we're fortunate that it is Saido. He was terrific last week and deserves all the plaudits he gets. Our job is to keep his feet on the ground. "Whichever club you're at if you have one of the academy lads who comes through and has the ability and hunger. Saido has been electric and forced his way into the team." And Clarke says Berahino - who came to England as a 10-year-old from war-torn Burundi - will probably start in Sunday's game with Arsenal. "We have a number of forward players but Saido is in my thoughts to start," he said. "Saido has a chance to start. You have to look at every game on its merits but no-one can quibble if he starts. He's not a gamble for me, his performance in training and starts are right up there."